If you have been through a job search you may understand more than others why finding a job is a full-time job. In recent years, the frustrations with spending time and money to go on job interviews while staying focused on your career and current employment has led job searchers to seek out both time and cost-saving solutions. They are willing to pay for a job. They will pay someone in a job search firm to handle the task of finding them job interviews. If this sounds crazy to you, read when it makes complete sense to pay companies to perform a professionally managed job search on your behalf. It is a good time to outsource your job search when you have the sensitive type of work situation in which the slightest hint of you looking for new work can cost you your job. For example, companies that need to protect their own intellectual property may let you go out of fear you will interview with a competitor. Paying for a job search firm will also make sense to you if your future with a company has stalled due to reorganization or a merger. If job seeking costs money, you will need your current full-time job to pay for it anyway. Why not protect your job and yourself and pay for an outsourcing firm to do your job search? You might be a person with a great education, plenty of hard skills, and a strong business acumen, but if you are terrible with networking online, it makes more sense to pay for the job search to be done by a professional on your behalf. What are you paying for exactly? You are paying a firm to take on your job search from the creation of a resume to the moment you get hired. You know you do well in job interviews and get along great with others in the office. Getting the job interviews is the real hassle. If you have no idea how to network, dislike it, or cannot sell your resume to companies, paying for a job search is a valuable service. You are relying on others to handle the stages of a job search that most find difficult: Being invited or asking for interviews. If you have had a job for the majority of your career, neither had to interview nor job search before and suddenly find yourself looking for work, it would make sense to pay for a professional job search firm to help you. Trends in resumes, interviews, and online communications are forever changing. What you said in a cover letter 20 years ago was professional then, but now may seem cold and outdated. If you know you are the best job candidate for a job, but have a hard time communicating it, paying to outsource your job search to people who are familiar with current job search trends makes good business sense. Are you worried about paying a professional to do your job search? Do you find there to be something unethical about it? Are you worried about how much outsourcing your job search will cost? It pays to have a company take on your job search. This way, all the evidence used to present the case, proving that you are a perfect fit for a job is properly represented to hiring managers and recruiters with an objective view. 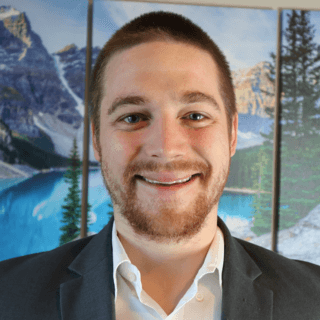 Steven Lowell is a Business Development Manager at Find My Profession who enjoys working at companies that serve to help others find their dream jobs.